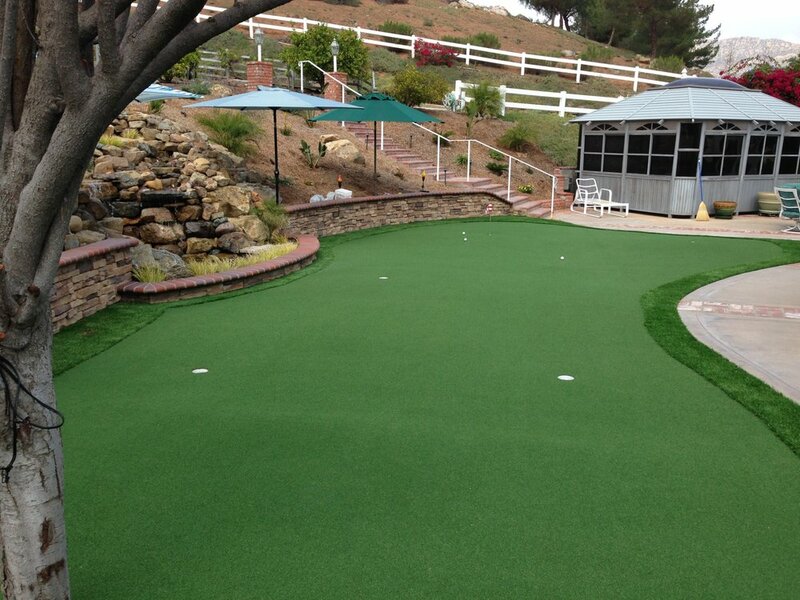 Soft to the touch, San Diego Sierra 94 Artificial Grass is a popular choice for lawns at homes with families and pets who love to play outside. This durable turf gives you a more inviting surface to play on, is soft to the touch, saves water if installed outside, and is easy to clean up. Eco-friendly San Diego Sierra 94 Artificial Grass transforms dead, uneven grass into a bright green wonderland of perfectly manicured lawn. Never bother mowing, weeding or watering your lawn; The effortlessly beautiful synthetic turf that is ideal for areas with all levels of foot traffic. The delicate mix of 1/3 Lime Green and 2/3 Field Green blade colors with Brown and Green thatching realistically simulates the bright green hues of natural grass making it perfect for busy dog runs, playgrounds, and relaxing residential lawns.